Incredibly clean, with incredible consistency. Since 1999, ServiceMaster Clean of Brantford have been providing janitorial services to businesses in the Brant County, Haldimand/Norfolk County and major centers such as Brantford, Paris, Simcoe and Delhi. We are committed to providing outstanding service to all of our clients; each receiving the same attention to detail and dedication, whether they are a large, medium or small facility. We believe in added value because we understand every dollar matters to your budget. Added value includes 24 hour live answering service, free initial clean ups with successful bids, friendly and professional service and a management team that truly care about your interests. ServiceMaster Clean of Brantford is also committed to providing environmentally friendly cleaning solutions. This is evidenced through our certified Go Green® product line and our proprietary Capture and Removal® cleaning system. Through our use of these specialized products, equipment and cleaning techniques, we help to provide a healthier workplace for your employees to work in on a daily basis. 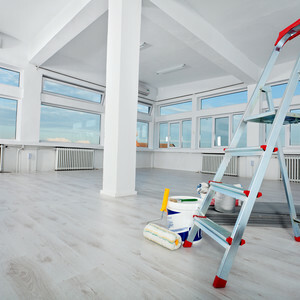 In addition to our janitorial services, we also provide floor and carpet maintenance, window cleaning, one time cleanups, spring cleanings and general maintenance. For a free no obligations quote please contact Ian Smith by phone at (519) 209-8140. Check out our latest article for Canadian Facility Management & Design on the importance of post construction cleaning. Commercial cleaning services to suit every budget. Our plans start as low as $250 per month - whether you need daily janitorial office cleaning, commercial carpet cleaning or specialty commercial cleaning. Depending on your specific requirements, we will work with you to develop a plan that suits your needs, and your budget. No other vendor offers the quality of service and degree of commitment as consistently or as affordably as ServiceMaster Clean. We are so confident in our performance, we guarantee it! Our expertise, dedication and value-added services make us the best commercial cleaning choice for your business. The clean you expect. The service you deserve. An independent business licensed to serve you by ServiceMaster of Canada. Copyright © 2019 ServiceMaster Canada. All rights reserved.